If you live and/or work in Houston, you might have experienced wind damage from the February 23rd windstorm. The storm knocked out electricity for over 150,000 residents, uprooted trees, and caused severe damage. Not unlike this particular storm, half of all severe weather reports concern damaging winds, so it’s important to understand what types of damage your business might sustain from wind damage and how to file a claim. Wind can easily pick up small pieces of debris and hurl them at nearby buildings. 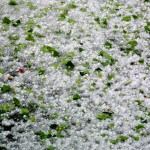 This can cause broken windows, damage to the exterior walls, and roof damage. Trees, branches, and power lines can be uprooted and broken, causing them to land on nearby buildings. Damage stemming from flying debris impact can range from small dents or fractures to complete holes in a roof. 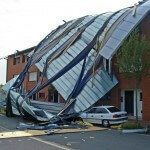 Roof damage can also be caused by the wind itself. Wind can easily blow shingles or tiles off a roof, it can cause hidden damage from wind lift destroying or loosening fasteners in the roof system, and wind can even tear off the roof entirely. Always pay attention to the weather in your area. If the forecast predicts a windstorm is headed your way, and it is safe to do so, clear the area around your business of any small to medium sized objects like potted plants or chairs to ensure they are not picked up by the windstorm and thrown into your property. Also make sure the windows and doors are securely locked. Have a good maintenance program for your roof and building, and conduct regular inspections and any needed repairs. If, despite your best efforts, your building suffers wind damage, you might be unsure how to proceed. You should assess the damage to your property by retaining a professional to inspect it. 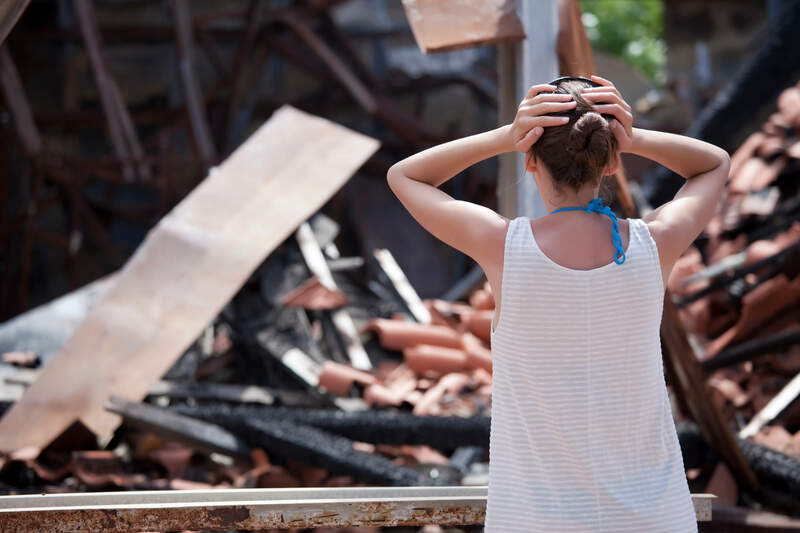 While some damage is obvious, like a tree falling on your roof, some damage might be subtler, like missing shingles or a compromised flat commercial roof. Sometimes a policyholder won’t even realize damage has occurred until months later, when new leaks become noticeable. Immediately report your wind damage claim to your insurance carrier, and it will send an adjuster to inspect the damage. In many cases, windstorm insurance companies violate contracts with policyholders when they deny or delay valid wind damage insurance claims. Unfair denials, extreme delays, and major under-valuations can constitute insurance bad faith, enabling the recovery of other additional damages that you suffered because of bad faith conduct. If you have had your windstorm damage claims denied, delayed, or underpaid, the attorneys at Raizner Slania can help you get the compensation you deserve.